Ironically, as I write this, it is Christmas day. I know, I lead an exciting life! Writing is how I celebrate! Also, interestingly, the holiday season is one of my busiest times of the year. People tend to get into a frenzy right after Thanksgiving because their dog acted horribly and they are afraid Christmas will be even worse. Humility is a wonderful lesson, taught best by our four-legged friends. I spend my holiday season traveling to people’s houses and frantically trying to impart the wisdom that they need to teach their dogs some basic manners. I am always a bit surprised that people wait so long and need some kind of humiliating experience to try and overcome their dog’s bad behavior! So, let’s talk about how to manage your dog’s overexcitement, even in a pinch (like a holiday weekend) because the truth is, just a couple of tricks will help your dog look like an angel. 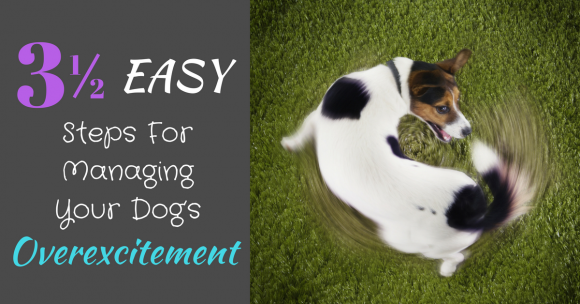 At it’s pure and basic form, exercise will help take the edge off of any dog’s bad behavior. Even if you didn’t have time to do a lot of training prior to a family gathering, if you take your dog for a 2+ hour hike through the mountains and hills before your family comes over for dinner, the chances are that your dog’s behavior will be dramatically improved. Let’s face it, parents do the same thing with their toddlers! If you want a tired toddler, take that kid to the park for an hour or more and let him run and play. One of the big purposes of exercise is to help our body get tired and sleep better. You can use this to your advantage if you need to take the edge off of your dog’s overexcitement. But remember, your dog is an athlete! A mile or two stroll is not going to get the job done. 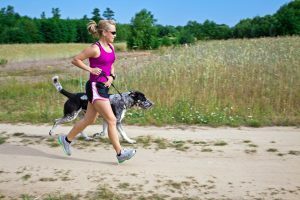 Chances are that you are going to have to invest some time and effort into making your dog tired because it is likely that he is in better shape than you! Training is the other way to deal with overexcitement. If my dog loses his cool, I like to be able to give him a command and information about how I want him to behave. If he wants to jump on me, or company, I am going to give him the “place” command. I can also use commands like “off”, “sit” and “down” to ensure that I am communicating with my dog what my expectations are for him in that moment. Often times, I think we have these broad expectations of our dogs to “know” what is expected of them without the proper teaching. And, the truth is that they are a totally different species. They see no harm in jumping on people they love. We must teach them commands and behaviors that are more appropriate and teach them that jumping is never appropriate. However, this takes time and some effort. 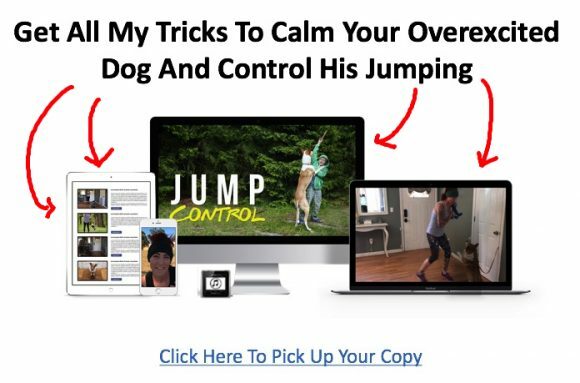 We need to spend at least 5 times a day for at least 5 minutes teaching our dogs commands in a distraction-free environment before we can raise our expectations for their behavior. After all, it is up to us to teach them. And, we can’t expect them to learn when there is company over and everyone and everything is already exciting! The coup de grâce (or what will finish it best) is BOTH! If I am expecting company, or I need to get a bunch of work done, I am going to exercise my dogs until I know they are exhausted and will nap. I also want the control to be able to tell them what to do when I start seeing overexcited behavior. After all, it is up to me to provide them with the ability to understand my communication, and to communicate appropriately with me as well. I want a tired dog so that my dog is fulfilled and happy. I want a well-behaved dog, for the same reason! Training should be more fun than exercise if you do it right! And, both lead to a happy dog! The other point I would like to make about overexcitement is that your mood can make or break it. 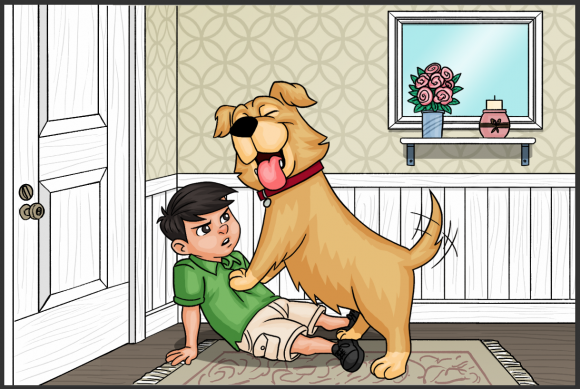 Often times, the dog gets overexcited and starts to behave badly, and the human begins to pitch a fit and yell or chase the dog. This only leads to worse behavior and rewards the dog’s behavior. I have often been told by others in the training world how impressed they are that my dogs are always so calm. The reason my dogs are calm is that I am always so calm and collected. I don’t let my dog’s raise my blood pressure and I certainly don’t yell. I want my dogs to mirror my behavior, and in order for that to be effective, I must remain calm and in control. Even if your dog is being completely naughty, don’t let him see you lose your cool. Instead, promptly and calmly deal with his behavior in an effective manner (exercise or training! ).